Which strain cell is right for my experiment? This page details the accessories available for the CS100 series and FC100 series cryogenic stress/strain cells. 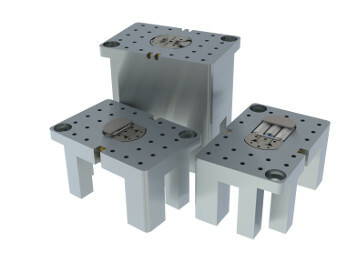 The accessories described include the power supply necessary to power the cell, the wiring platform for attaching the wires to the sample as well as the various sample mounting plates for mounting the sample horizontally or on-edge to be compatible with transmission-mode probes. A full modification of a quantum design PPMS probe for strain measurements is also offered. A custom 4-quadrant sink/source power supply for driving the CS100-CS130 and FC100 stress/strain cells. Compatible with all AC mains/grid supplies. A simple software tool to send commands to the power supply. 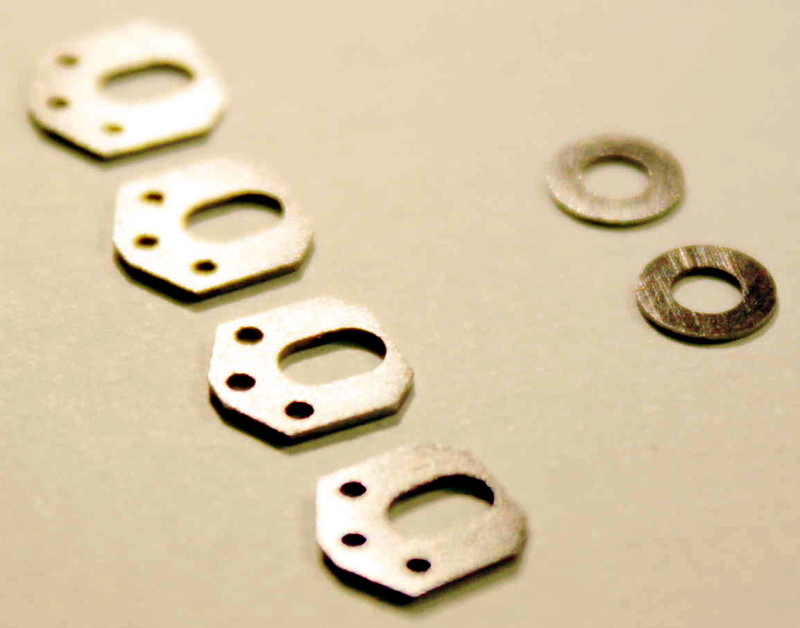 Sample plates and spacers available in packs of twenty. Positions four contact pads within a few millimetres of the sample to make forming gold contacts to the sample easier. When mounting a sample in the cell or when forming contacts to the sample it is often convenient to have a purpose built optical bench to make the fine manipulations easier. These stands can be fitted into a central hole in an optical table. If required, a translation stage can be screwed to the table to allow operations that cannot be conducted by hand. The tapped holes in the table are typically provided in metric sizes, but can be made to imperial measurements, if requested. 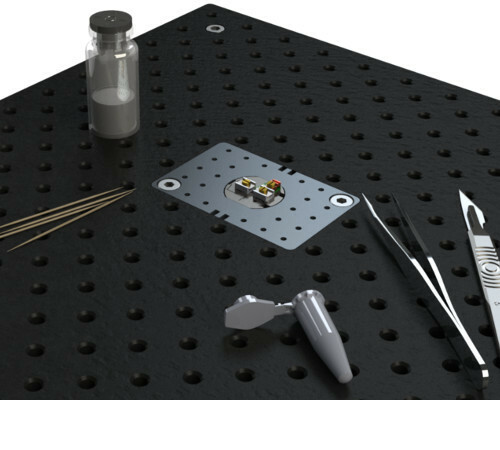 A kit that provides the vacuum feed-throughs, cabling and wiring plates necessary to convert a quantum design PPMS to use our strain cells. 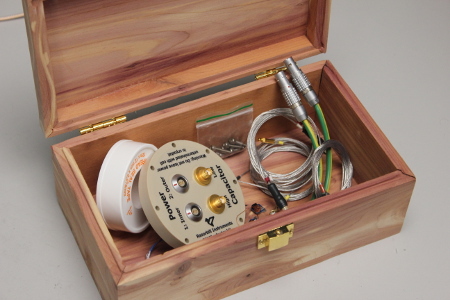 Low cost accessory to help you modify your cryostat and get started as quickly as possible. For our latest offering, we have teamed up with Quantum Design to offer a Razorbill Instruments version of an official QD multi-function probe. 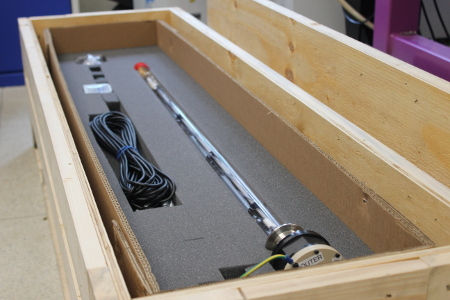 This probe will be compatible with any Quantum design PPMS and have all the required cabling, connectors and vacuum feedthroughs to enable immediate strain measurements at cryogenic temperature with minimal of customer set-up required. Modified version of an official Quantum DesignP450A Multi-function Probe (MFP) for strain measurements. Have a PPMS probe that you can reserve exclusively for stress/strain measurements. No need to modify your existing PPMS or design a custom yoke. Vacuum feedthrough and appropriate cabling already installed. 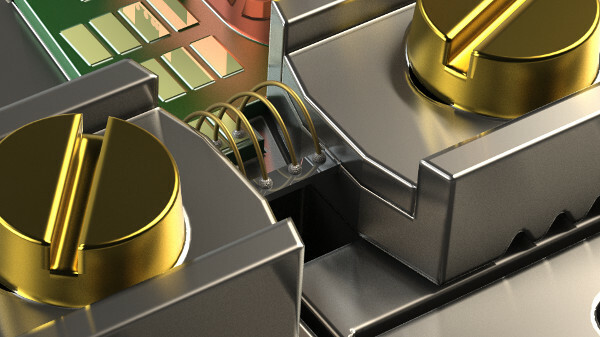 Ensure the strained sample is located precisely in the magnet centre. Please enquire for more details.